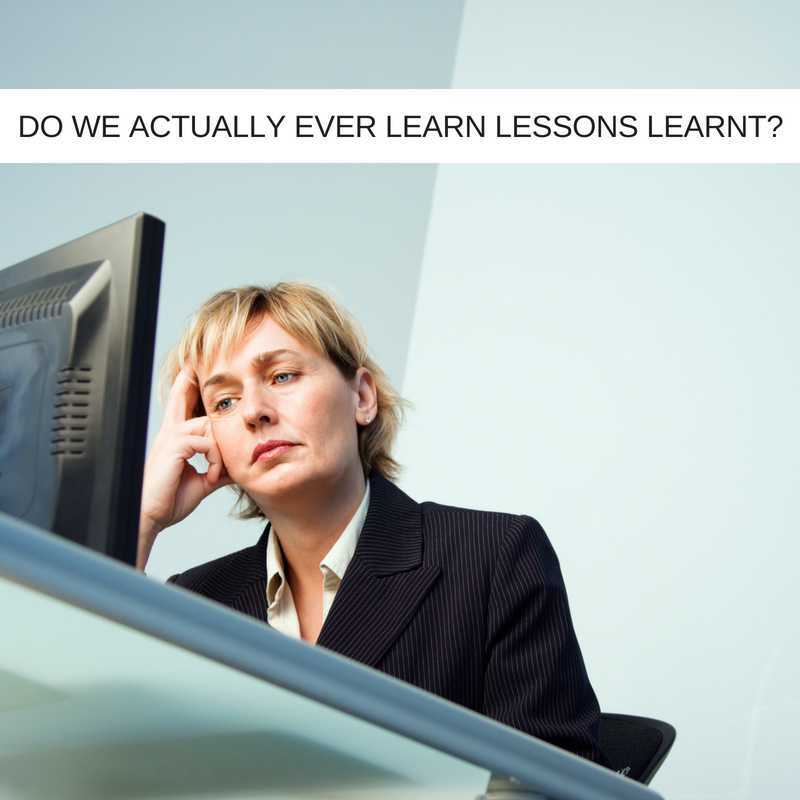 We record 'lessons learnt' as part of the project management process but do we actually learn from them? It is worth considering this for a moment ... Do you action the learnings or do challenges keep resurfacing time and again? Do you keep noting down the same points each project? It makes great sense to learn from lessons and instinctively you know this. 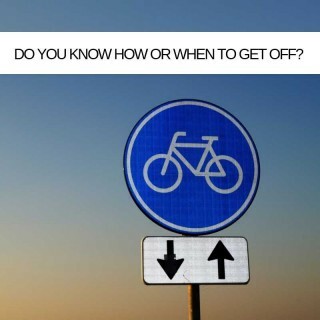 Remember when you learned to ride a bike? How did the first attempt go? And the second and the third? You adjusted your approach after every wobble. Every grazed knee was a learning opportunity. Eventually, you sped down your street with the cheers of your parents ringing your ears ... before mistakenly pulling hard on the front brake and flying over the handlebars! And I bet you only did that once! You learnt from all your mistakes - you are a natural! The Project Management industry needs a wholesale rethink on this. One of my clients has a weekly meeting to actively learn lessons and every attendee used to dread it! I'm not surprised, it was half an hour of dredging up mistakes from last week first thing every Monday. Not very motivational! I suggested refocussing the meeting so that it also included successes that should be repeated. Huge transformation! Some of the best lessons that we can learn are not from mistakes we make, they come from the things that we get right. Lessons can be both positive and negative, but many outfits still draw most of their lessons from painful rather than joyful experiences. If they do are they inclined to read it? The way we document project lessons is often dull! Where are yours? On a sheet of A4 paper in a file or lost somewhere in your company's cloud as a Word document. What could be less inspiring?! Why not record a video blog or an audio recap of lessons that have been learned? On your smartphone, you could make a very engaging bit of content in no time at all. One of my Project Leader does this, shoots a quick video, and uploads it to Yammer every Monday (even includes the hilarious out-takes!) and engagement with this knowledge resource has "gone through the roof". I've lost count of the number of firms I've consulted with who are struggling with a problem that someone in the same organisation has already solved. Most recently I was told by a Project Manager that although he was aware of a database of lessons learnt, he only ever read those that were directly relevant to his own projects. And yet here he was battling a challenge that six weeks before a colleague had overcome and thoroughly documented. What could be more relevant? I did a keyword search of the database and found the answer in seconds so it's not a huge time investment. I'm a bit of a geek when it comes to lessons, I love to hear, read and learn from other people's experiences - you never know when a nugget of information might come in handy. I get this by the way. There's a lot of stuff to do on your "stuff to do" list and, frankly, half an hour in a meeting about lessons learnt doesn't tick anything off your task list, in fact, while you're there a stakeholder has probably sneaked a scope change request into your inbox. I compare this to spending half an hour reading lessons that have been learnt, you should never be too busy to sharpen your metaphorical shears, remember Gandhi said, "I have so much to accomplish today that I must meditate for two hours instead of one." You're never too busy to improve yourself! 5 - Budgets are tight - can't make a justifiable case for "luxuries like navel-gazing"
This was an actual excuse I heard for not learning lessons from previous project experiences - a PM told me that he couldn't justify the cost of "the downtime". What a sad state of affairs that time spent learning how to work better and smarter is considered a waste of money. I guess there's no tangible return on this investment of time to prove that it is time well spent. However, I do know that getting things right the first-time costs less than having to do them again or having to parachute firefighting talent in to help fix problems later. Don't think of self-improvement as a luxury, it’s essential and certainly don't think of it as navel gazing! This actually happened. I consulted on a project recently and as part of our thorough initiation procedure, we conducted interviews with everyone working on it. The project was over budget and missing key milestones - so why was it so late? One chap, let's call him 'Steve', remarked that one of his colleagues (let's call him 'Geoff') was working on something that could easily be bought in off the shelf for a fraction of the development costs - and this wasn't the first time Geoff had wasted time and money in this way - this had been flagged up in the debrief from the last project. I asked Steve if he'd shared his concerns up with Geoff? He said he hadn't - as he didn't want to cause a scene. "If you saw Geoff walking down the street, lost in his iPhone and it looked like he was about to walk down a road-works hole. Would you be afraid of offending him by grabbing his arm and swerving him from danger?" I asked. "Point taken," said Steve and went to talk with Geoff. Honestly, we're all grown-ups! It's OK to hold each other accountable! If you see someone repeating a previously agreed "lesson to be learned" you have a responsibility to say so. I remember seeing a debrief note with six lessons that should be learnt. In the bullet point list, the project leader acknowledged that scope had crept, the budget had been blown, the project was late, morale was low, communication was poor and business case wasn't clear. All of these areas would have to be improved upon. But how? The document didn't drill down with any thoughts on how they would improve governance to avoid creep or how a contingency budget should be allocated so that future projects avoided dipping into the red! So, drill down a bit and leave some thoughts for your future self and successors on how to avoid making the same mistakes again. To be fair sometimes you don't know how otherwise you probably wouldn't have had a lesson to learn in the first place - you'd have just done it the better way first time around! I have a friend in the States with a client that he says is a repeat offender. "These guys are putting my kids through college," he joked in a recent email. "Every project we parachute project management resources into rescue them last minute and because of the last-minute nature it costs them heaps more. After every project we make the same recommendations, better planning and more time working out project requirements, earlier deployment of Project Management as a Service (PMaaS) resources (which is cheaper in the long run than firefighting). Every time they nod and file the recommendations away, a month or two goes by and we get a call asking for us parachute in talent again." Athlete Vernon Law is reported to have once remarked that "Experience is a hard teacher because she gives the test first, the lesson afterwards." The truth is that in IT project management testing times are almost guaranteed, what makes challenging projects more bearable is knowing that they come with a valuable by-product ... you come out of the other end having learned a hell of a lot. Let's not waste that!